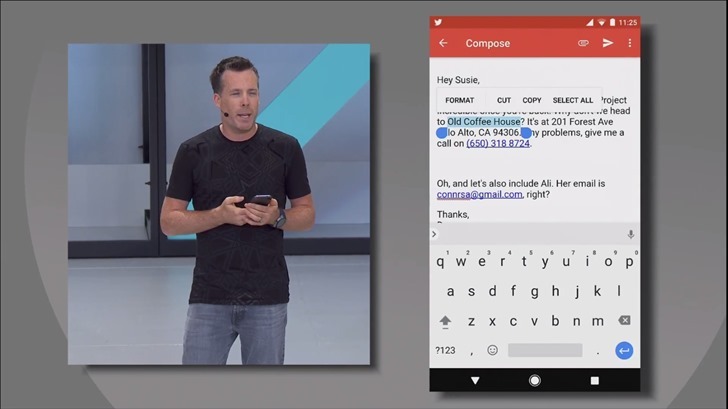 Smart Text Selection uses machine learning to figure out which information is pertinent when you double tap, and then offers contextual options such as calling a number or entering an address into Maps, rather than just the usual 'cut' or 'copy' etc. It's a nifty solution that should save us all a bit of time, and it's also a really impressive use of machine learning locally on your device. The changelog for the latest Google Docs update includes, "Smart text selection on devices running Android O", as well as the usual bug fixes and performance improvements. I haven't been able to get it working on my Nexus 5X running the 3rd Developer Preview of Android O, so let us know in the comments if any of you have any luck with it. You can download Google Docs from the Play Store link below, or grab the latest release manually from APKMirror.